“Tom Dietterich is known as a renaissance man,” says Terri Fiez, Head of the School of Electrical Engineering and Computer Science, of her colleague whose active research program has earned him many accolades. Dietterich’s broad influence was recognized in 2013 by Oregon State University when he was selected to be a “Distinguished Professor,” the highest honor for faculty. He has also earned exclusive “Fellow” status in both the American Association for the Advancement of Science and the Association for Computing Machinery. In graduate school he realized that computer science was much more than just programming and got hooked on the area of artificial intelligence because it examined fundamental questions about psychology and philosophy. After he finished his master’s degree at University of Illinois at Urbana-Champaign he decided to go on to Stanford to get his Ph.D.
Over his career, he has worked on a wide variety of problems ranging from drug design to user interfaces to computer security. 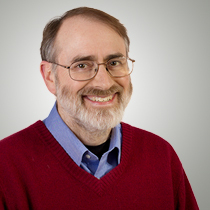 His current focus is on ways that computer science methods can help advance ecological science and improve our management of the Earth’s ecosystems. “I realized I wanted to have an impact on something that really mattered — and certainly the whole Earth’s ecosystem, of which we are part, is under threat in so many ways. And so if there’s some way that I can use my technical skills to improve both the science base and the tools needed for policy and management decisions, then I would like to do that. I am passionate about that,” he says. 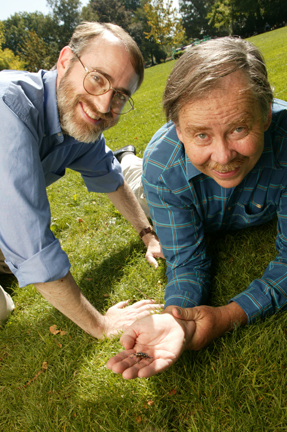 Tom Dietterich was a lead researcher on the BugID project, which aims to develop devices for capturing, imaging and sorting bugs to allow scientists to measure the health of forests, streams, and estuaries. This passion has led to several projects including research in wildfire management, invasive vegetation and understanding the distribution and migration of birds. For example, Dietterich’s research is helping scientists at the Cornell Lab of Ornithology answer questions like: How do birds decide to migrate north? How do they know when to land and stop over for a few days? How do they choose where to make a nest? Tens of thousands of volunteer birdwatchers (citizen scientists) all over the world contribute data to the study by submitting their bird sightings to the eBird website. The amount of data is overwhelming — in March 2012 they had over 3.1 million bird observations. “We take this data which is rather large and messy and apply techniques of machine learning to convert them into accurate models for prediction and recognition,” Dietterich says. Machine learning can uncover patterns in data to model the migration of species like black-throated blue warbler traveling from the Dominican Republic through North America to southern Canada. But, he says, there are many other applications for the same techniques which will allow organizations to better manage our forests, oceans and endangered species, as well as improve traffic flow, public water systems, the electrical power grid, and more. “It's been a thrill to be a part of this field as it's developed and to see all the different ways that machine learning is transforming society,” Dietterich says. Additionally, Dietterich has been one of the leaders in bringing together a consortium of faculty from seven different graduate programs from the colleges of agriculture, engineering, forestry and science to create a program in ecosystem informatics that supports education in the combined fields of ecology, mathematics, computer science, and engineering. He is also proud of the AI machine learning group of outstanding faculty, students and staff that Oregon State has built up over the years to become internationally prominent. “I love my work. So I really enjoy spending time on it,” he says, but admits to having one major hobby which is learning the languages of all the different places he has had the opportunity to visit including Brazil, Chile, Spain, Germany, Japan, and China. “So if you see me walking home muttering to my iPod, it’s because I’m listening to language tapes while I’m getting some exercise,” he says with a smile.